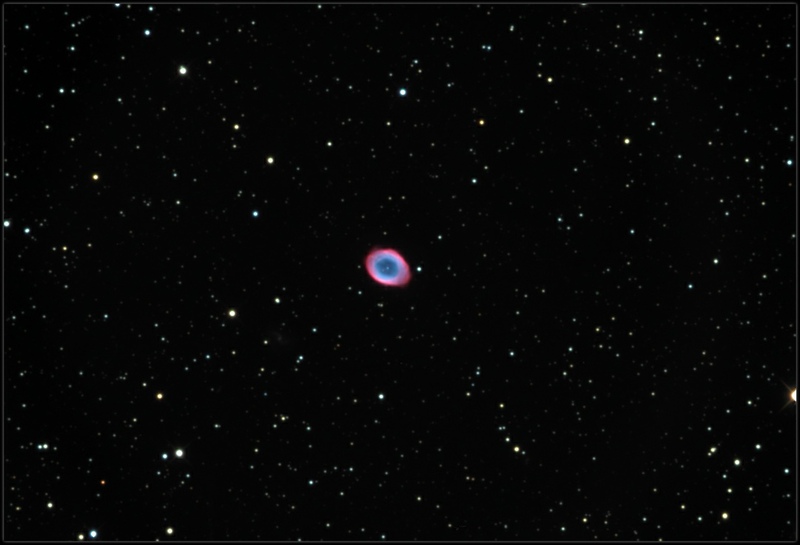 M 57, the Ring Nebula is about 2150 light years from Earth. The shell of gas thrown from its central star are the remnants of the star's collapse. Image acquired using SBIG St-10XME camera with Astrodon filter set through 10” Astro-Tech RC telescope.